There are two SecureAuth servers behind some sort of load balancing set up, and you need to test only one server or redirect traffic to one server. This can be caused by using a VIP or DNS round-robin. 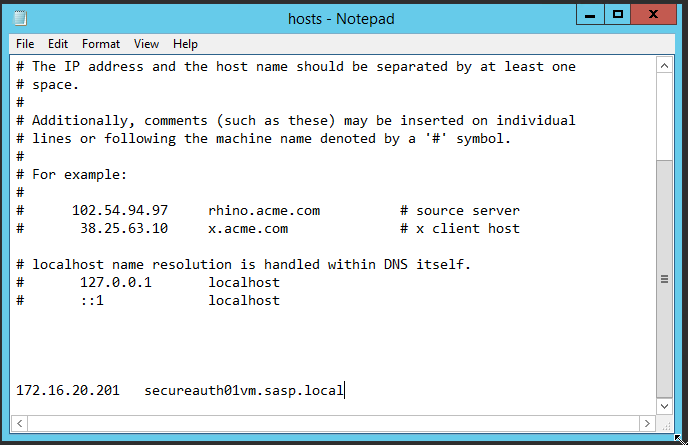 To circumvent or work around the VIP or DNS round-robin, please use host file to make permanent route changes. 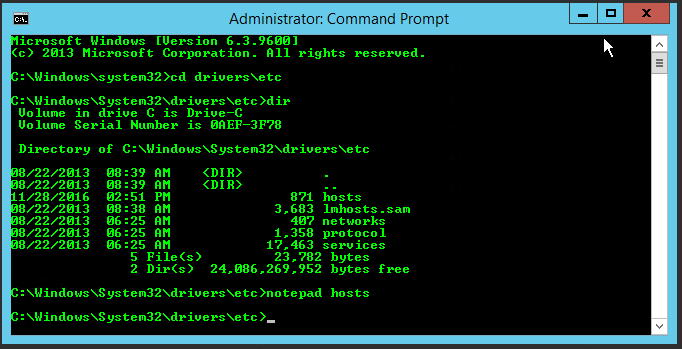 Upon doing so, please navigate to the respective folder and type in notepad hosts to open your host file in an admin-mode notepad. Once in the hosts file, please type in the IP you want to reroute traffic to followed by the name that you would want to correlate to that IP. Once you're done, go ahead and save and test! 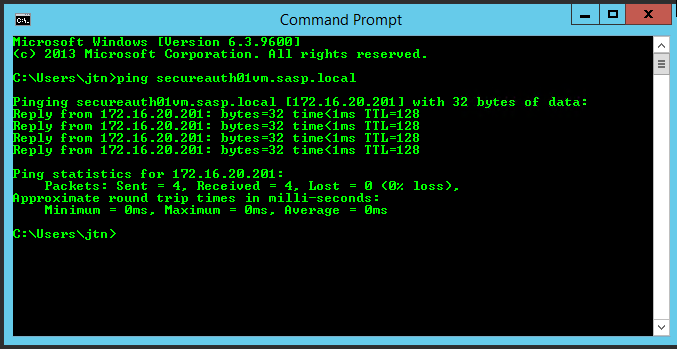 The test ping shows us that this hostname reflects the IP that we want it to hit.